Just as I did last year, I wanted to share my notes from the speech that Thai Prime Minister Abhisit Vejjajiva gave at the Foreign Correspondents’ Club of Thailand event here in Bangkok last night. Because I’ve been covering the Map Ta Phut industrial estate issue, I took particular interest in Abhisit’s comments on the topic. The back story, in case you haven’t been following the case: 76 industrial projects worth nearly $10 billion in Map Ta Phut were suspended by Thailand’s central administrative court on Sept. 29, 2009. The order came after complaints about ongoing pollution in the area and allegations that the projects aren’t in compliance with the 2007 Thai constitution. This NYT story provides a general overview. 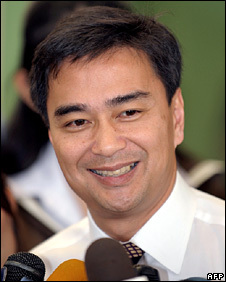 Most recently, on Dec. 2, 2009, Thailand’s supreme administrative court upheld the ruling after an Abhisit administration appeal. Just 11 of the 76 projects have been allowed to continue. It remains unclear when the rest of the stalled projects will be able to resume. The basic problem is this: the constitution says that any project that might have severe environmental or health impact on local communities must follow certain procedures. What happened with the projects in Map Ta Phut was the government felt that those projects did not have severe environmental or health impact on the local communities, and our judgment on that was not just our own judgment, it was based on the environmental impact assessment that had been made according to our environmental law. Now, unfortunately our judgment and the administrative court’s judgment were different. The court said that these projects might affect the local communities in terms of health and environment impact severely, so it had issued a temporary order to freeze these projects. So what we did was that first of all, we said to the private sector who were involved, if they were prepared to voluntarily join the process that you have to go through if these projects were projects that could severely have an impact on the community, then let’s do it, voluntarily. And to do that we have to have regulations and then subsequently laws that would set up this process. We’ve now achieved that. We’ve got the announcement by the environmental ministry so that you can do the EIA and HIA according to the new standards. You can now have a public hearing and also an independent views being submitted according to the regulations issued by the prime minister’s office. 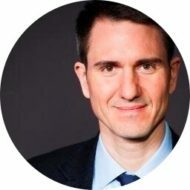 A number of projects have already begun to go through this process, which can take maybe up to six or eight months. Now out of those projects, in fact the ones that are most affected are the ones that had completed construction or were already in operation. [inaudible number] more are under construction and we’ve identified about 19 that we feel have a good case to put to the admin court to have them released from this temporary order. The rest actually were in the process of seeking approval. For new projects and new investments all this means is they have to go through a more vigorous process in terms of assessing health and environmental impacts, but the rules are clear. So what clearly has upset sentiment has been the uncertainty that the current projects are facing because they thought they had gone through all the legal requirements but they have been ruled not to have done so, and they are correcting that. So it’s something that I think we have now reached a point where there is a clarity about what needs to be done and I think also we are at the point where new investment has to accept higher standards of scrutiny before they get their permits. Red shirts to rally at Bangkok’s international airport?